Need just enough turkey for a small gathering? 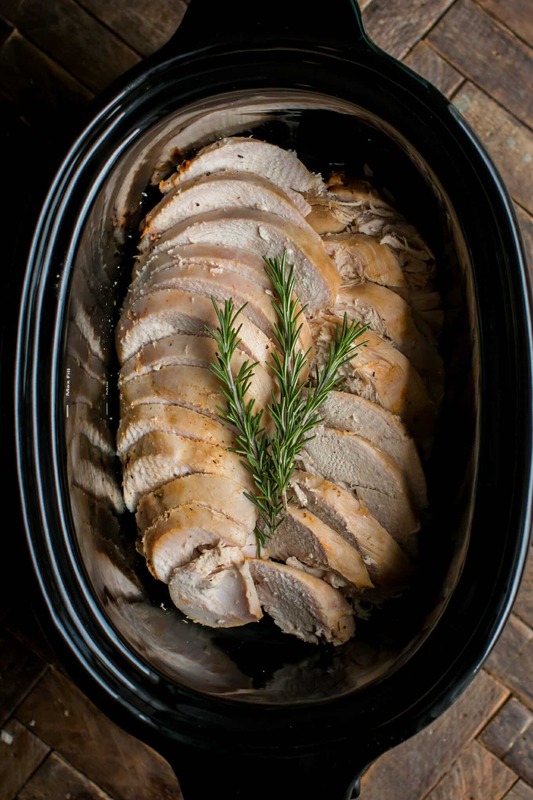 Then this Slow Cooker Turkey Breast is the recipe for you. This was the first time I made an entire turkey breast in the slow cooker. When I say entire, I mean this cut of turkey which has both sides of the breasts, which I don’t know why I didn’t know existed until now. It sure is funny looking, its shape is still like a turkey but with the drumsticks, thighs and wings removed, which is great because otherwise I would not have been able to fit the turkey in my slow cooker. 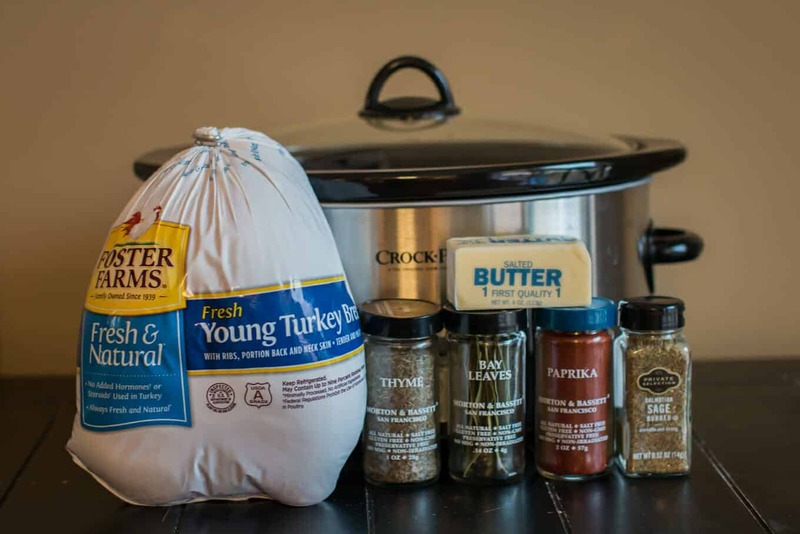 I do have a single turkey breast recipe on my site you can see my recipe for Slow Cooker Turkey Breast and Gravy, here. I was very pleased with how tender this recipe turned out. Seven hours on low was just enough time to make the turkey tender and not too much time to dry it out. You can see below in the photo what the turkey packaging looks like. My turkey breasts were 5 pounds, though I do think this recipe will work fine with a bigger or smaller turkey breast. The color you see below is from the paprika, I did not brown this in the oven, though you could if you desired. The paprika adds flavor and color to the drippings if you make gravy from them. You can see below I removed the skin, since I didn’t brown it and didn’t think it would look good serving with it still on. I was having a busy day when I made this, I served this with Stove-top stuffing and cranberry sauce. Still a great meal even though it was a breeze to make. 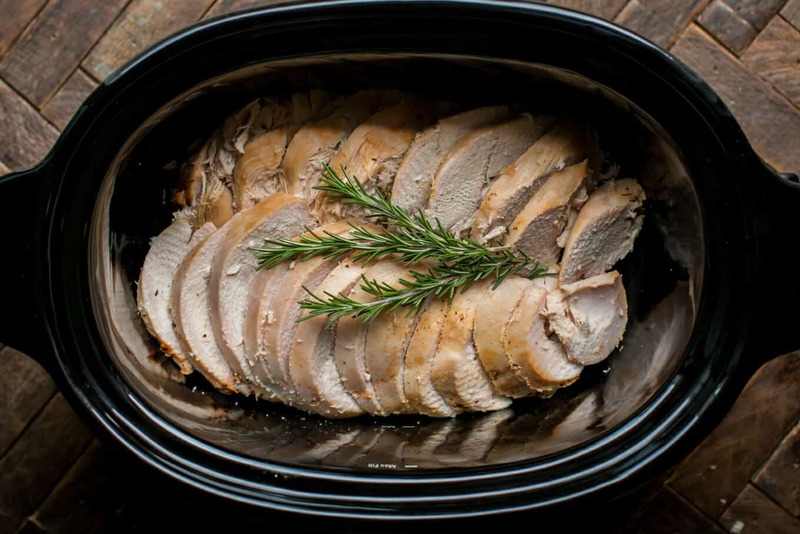 Below is my YouTube video on how to make this Slow Cooker Turkey Breast. You can follow me on YouTube, here. 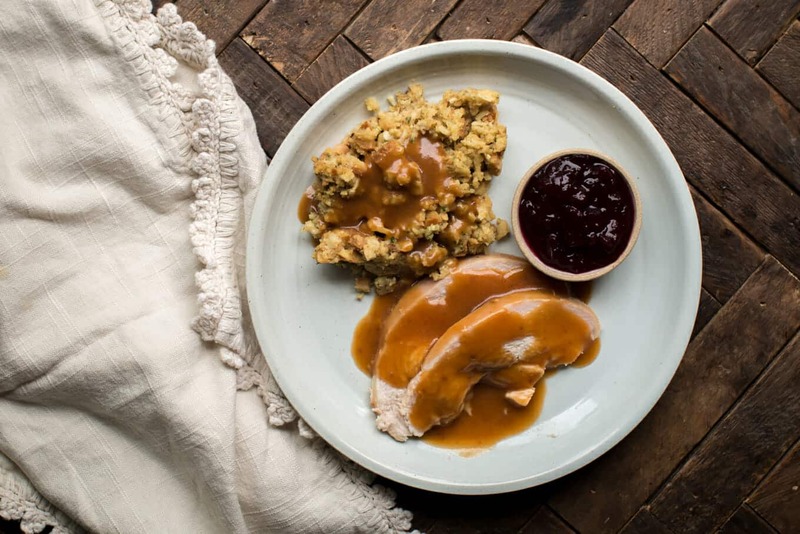 What is great about this recipe is if we are craving turkey it’s not a big ordeal! We can have a small turkey dinner then have leftovers for turkey sandwiches. I hope you give this recipe a try to have a great week, even though I know it will be a busy one. Remove the turkey from packaging and make sure to remove any extra bits that are stuffed in the cavity. Pat the turkey dry with paper towel. Add the turkey breast to the slow cooker. Pour over the melted butter, then sprinkle over the seasonings. Cover and cook on low for 7 hours without opening the lid during the cooking time. Let the turkey rest for about 10 minutes before carving. I started carving with a knife first, then switched to my electric knife and that helped make thinner slices. Serve and enjoy! Note- I made gravy with the drippings from this recipe, I used a turkey gravy packet and 1 cup of the drippings. You could make homemade gravy too. 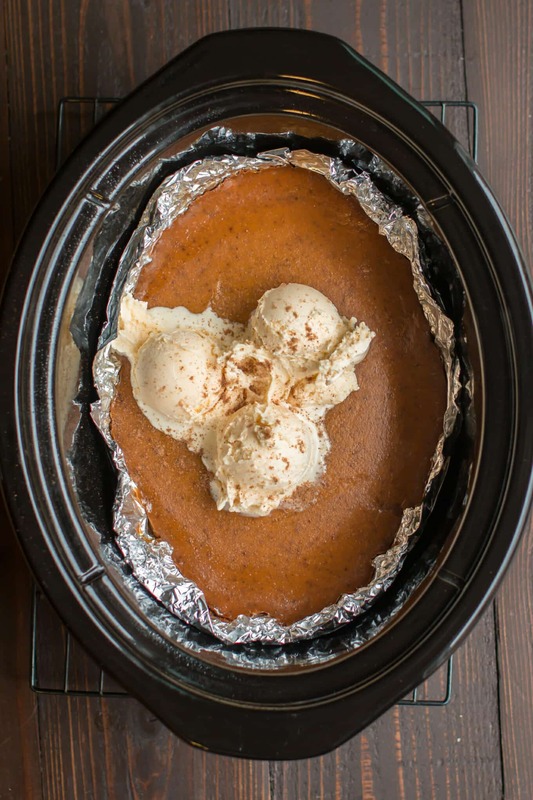 If you are going to carve this, then keep it warm in the the slow cooker, add some of the drippings with the meat, or chicken broth to keep it moist. 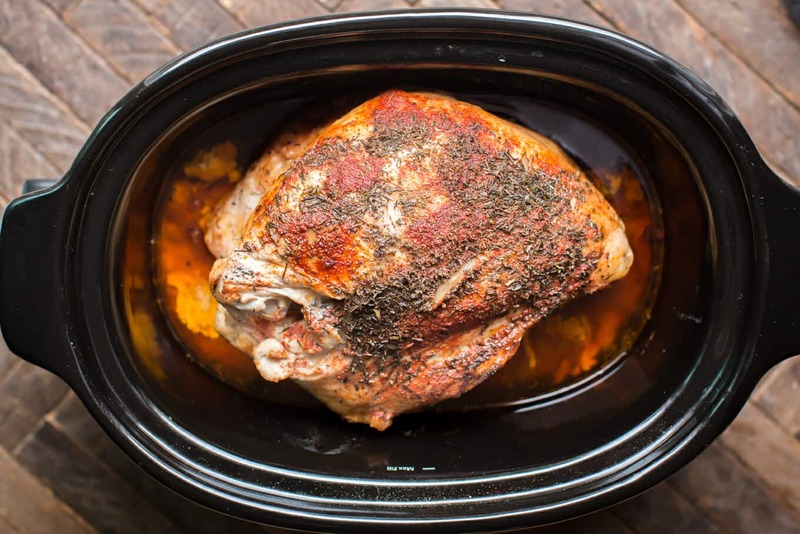 For this recipe I used my 6-quart Kitchen-Aid Slow Cooker. 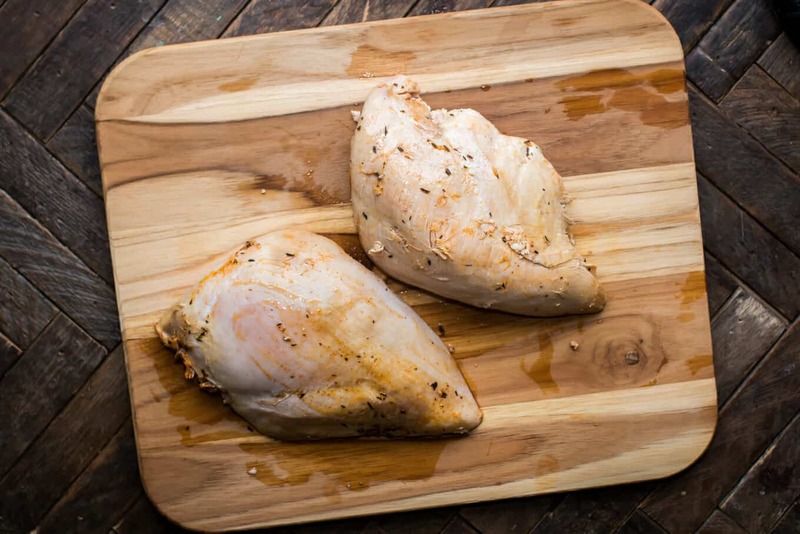 Sarah – if you used a boneless turkey breast (same weight) would the cooking time remain the same, or would it be more/less? Im assuming the turkey was thawed first? Might be a silly question but do you put it on low or high for the 7 hours. I do not, I think turkey taste fine as is. did you remove the skin before or after cooking ? I don’t want to use all that butter, especially if it doesn’t contribute to the browsing of the skin. Would chicken broth work ok? If yes, how much should I use? yes, the same amount would be fine or even a little more. You can make gravy with the extra later. Hi Sarah, This is PERFECTION! We just finished Christmas dinner and I couldn’t wait to tell you! Thank you and Merry Christmas! hi sarah, ive got a turkey breast twice the size of yours I want todo this recipe but im not sure on how long to leave it in the slower cooker. thank you. I would do 8 hours on low myself!